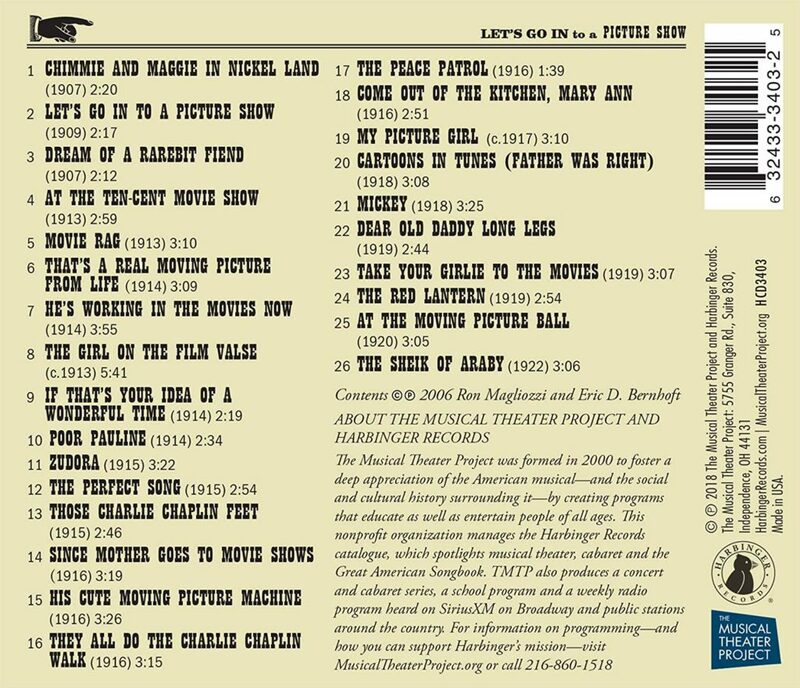 I first heard about this CD project during the Arbuckle retrospective I co-curated for MoMA in 2006 with Ron Magliozzi, Curator in MoMA’s Department of Film and with Steve Massa. Ron had spent a number of years acquiring dozens and dozens (hundreds, maybe?) of pieces of sheet music from the 1910’s and 1920’s for MoMA Film’s collection. They were popular songs about the new fad of going to moving picture shows and about the popular stars of the day. He’d also produced with Eric D. Bernhoft a CD of vintage cylinder and disc recordings of these tunes that was to be issued for the Giornate Del Cinema Muto, and was going to be distributed to attendees of the festival that fall. I am thrilled that this compilation of pop-culture tributes to the then-new medium of cinema is available again, and more widely. 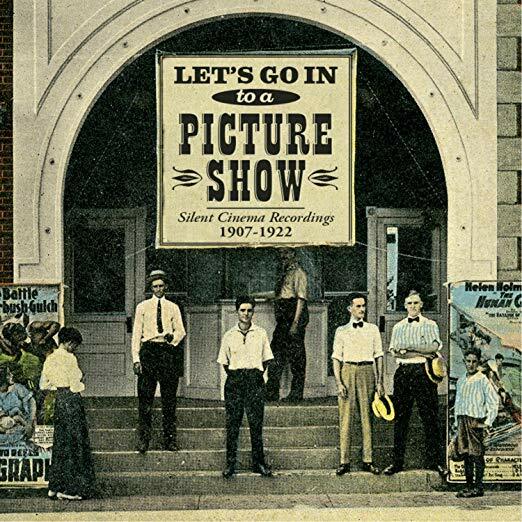 Harbinger Records released Let’s Go In To A Movie Show on September 21, 2018 on both digital and physical formats. Not on shellac 78s, though…just CDs. The CD includes a multi-page illustrated booklet with excellent notes by Ron on each of the songs and, in most cases, lyrics to them. It’s a fun listen, and the source material has been cleaned up quite well. The songs’ chronological order gives you a sense of the gradual arc of the public’s impression of the new entertainment medium. The novelty of addending a moving picture show gradually melts to acceptance of the medium and adulation of its popular stars, and also chronicles the new fans of the “movies” and their obsessions with them. Ultimately, the form winds up as a product of a star’s or a movie’s popularity, where a popular song would be created on the strength of a movie star as a way to sell sheet music and phonograph records. Let’s Go In To A Movie Show is available digitally on iTunes, and CD/digital on Amazon. ← Live, From My Living Room, It’s…Me!